Ted Baker started as a shirt specialist in the vibrant city of Glasgow some 20 years ago, and has now grown into an established mens and womens designer label. The focus is strongly on quality, attention to detail and Ted’s quirky sense of humour that everyone seems to relate to. Ted Baker is not just a brand, but also a way of life and attracts those who admire its inherent design quality and sense of humour, regardless of their age. 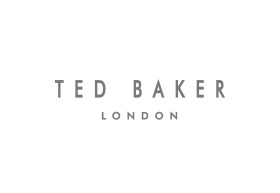 Today Ted Baker offers a wide range of collections including: Menswear, Womenswear, Global, Endurance, Accessories, Fragrance, Skinwear, Footwear, Eyewear and Watches. The brand is British, but the designs are truly international and nowhere are this more evident than at the Australian flagship store in Chadstone. Pay special attention to the interiors when you are shopping here, because every Ted Baker shop is bespoke. Ted Baker Chadstone is themed on the Victorian era and a picture of Queen Victoria with moving eyes lends an interesting twist to the décor as do the Alice in Wonderland-style dressing rooms. The store is located in the ground level, close to the car park A for shoppers’ convenience.